Sought After Downtown Location For This Impressive Mansard Victorian. This Home Is A Perfect Blend Of Charm And Modern Style. Loads Of Windows Let Alll The Natural Light In. Flexible Floorplan Offers Many Options Depending On Your Family/ Lifestyle. Gracious Foyer Welcomes You With Sweeping Stairway Leading To 3rd Level. Sundrenched Living Room With Large Bay Windows, Open Floor Plan, Formal Dining Room. Brand New Gourmet Kitchen With White Cabinets, Gorgeous Granite, Center Island And Stainless Steel Appliances. Play Room Or Den Off Kitchen. 2nd Floor Offers 2 Spacious Bedrooms, Large Walk-in Closet, Master Bedroom With Walk-Out Bay, Deck, Laundry/Bath Suite , 2 Master Walk-In Closets (See Attached Plans) 3rd Level can be 3 More Bedrooms For Teenagers, Office Or Bonus Rooms. Detached 2 Car Garage. Great Flat Lot With Fenced In Back Yard. Oversized Driveway. This Architectually Rich Home Offers Over 3400 Sq. Quiet Street. Walk To Library, Shopping, Restaurants, Schools. Listing courtesy of Elaine Quigley of Berkshire Hathaway Homeservices N.E. Prime Properties. Disclosures Relocation. Plus Relocation Services Llc Must Be Named As Seller. Buyer is Required To Sign Attached Addendum. 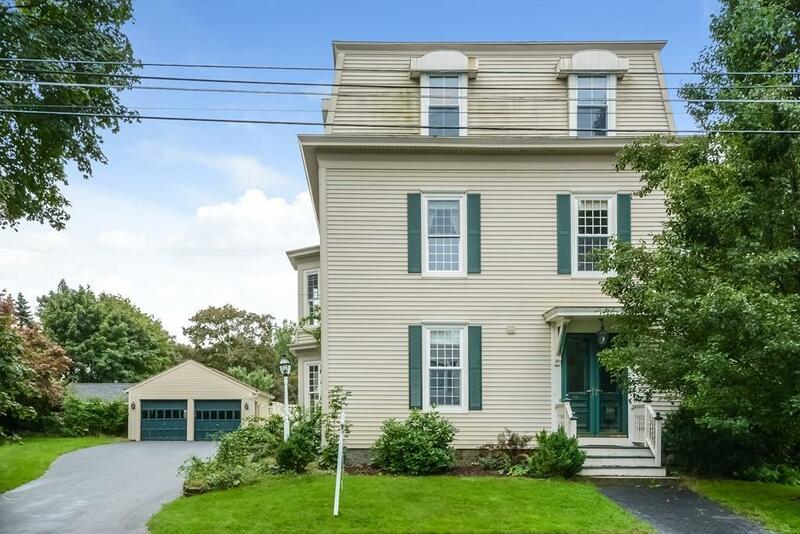 Listing provided courtesy of Elaine Quigley of Berkshire Hathaway Homeservices N.E. Prime Properties.